1996-1999: President of CNR National Coordination Institute “Metodologie e Tecnologie Chimiche Innovative”. 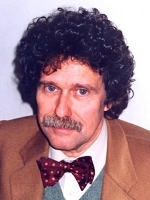 1999-2001 President of the Italian Chemical Society, Sezione Lombardia. Member Scientific Committee of the International Symposium on the Relations between Homogeneous and Heterogeneous Catalysis. 2007: Chairman VIII International Symposium on Catalysis Applied to Fine Chemicals, Pallanza 16-20 September. 2012-2015 Responsible of Research Unit FIRB Project “Oxides at the nanoscale: multifunctionality and applications”. 2013-2017 Member of the advisory board of the International Association of Catalysis Societies. Author or co-author of 4 international patents and 210 papers on international journals on the field of surface organometallic chemistry, catalyst characterisation and heterogeneous catalysis. Most of the scientific activity has been devoted to nanoscience applied in some sectors of catalysis. 1. V. Bambagioni, C. Bianchini, J Filippi, W. Oberhauser, A. Marchionni, F. Vizza,. R. Psaro, L. Sordelli, M. L. Foresti, M. Innocenti,Ethanol Oxidation on Electrocatalysts Obtained by Spontaneous Deposition of Palladium onto Nickel-Zinc Materials, ChemSusChem 2 (2009) 99–112. 2. V. Bambagioni, C. Bianchini, J. Filippi, A. Lavacchi, W. Oberhauser, A. Marchionni, S. Moneti, F.Vizza, R. Psaro, V. Dal Santo, Single-site and nanosized Fe-Co electrocatalysts for oxygen reduction: Synthesis, characterization and catalytic performance, Journal of Power Sources, 196 (2011) 2519-2529. 3. A.Gallo, M. Marelli, R. Psaro, V. Gombac, T. Montini, P. Fornasiero, R. Pievo, V. Dal Santo, Bimetallic Au-Pt/TiO2 photocatalysts active under UV-A and simulated sunlight for H2 production from ethanol, Green Chemistry 14 (2012) 330-333. 5. A. Naldoni, M. Allieta, S. Santangelo, M. Marelli, F. Fabbri, S. Cappelli, C. L. Bianchi, R. Psaro, V. Dal Santo, Effect of nature and location of defects on bandgap narrowing in black TiO2 nanoparticles, J. Am. Chem. Soc. 134 (2012) 7600-7603. 6. M. Marelli, A., Naldoni, A. Minguzzi, M. Allieta, Mattia; T. Virgili, G. Scavia, S. Recchia, R. Psaro,V. Dal Santo, Hierarchical Hematite Nanoplatelets for Photoelectrochemical Water Splitting, ACS Applied Materials & Interfaces 6 (2014), 11997-12004. 7. F. Zaccheria, N. I Shaikh,. ; N. Scotti, R. Psaro, N. Ravasio New Concepts in Solid Acid Catalysis: Some Opportunities Offered by Dispersed Copper Oxide, Topics in Catalysis, 57((2014) 1085-1093. 8. V. Dal Santo, A. Gallo, A. Naldoni, M. Guidotti, R. Psaro, Bimetallic heterogeneous catalysts for hydrogen production, Catalysis Today 197(2012) 190-205. 9. V. Dal Santo, A. Gallo, M. Gatti, V. De Grandi, R.Psaro, L. Sordelli, S.Recchia, Tailored supported metal nanoparticles by CVD: an easy and efficient scale-up by a rotary bed OMCVD device, Journal of Materials Chemistry, 19 (2009) 9030-9037. 10. M. Marelli, L. Ostinelli, V. Dal Santo, P. Milani, R. Psaro, S. Recchia, High-throughput spatial resolved tests over planar model catalyst libraries: A novel reactor approach, Catalysis Today 147 (2009) S170-S175.